In some rooms, it either isn’t possible or desirable to use a hanging rail. 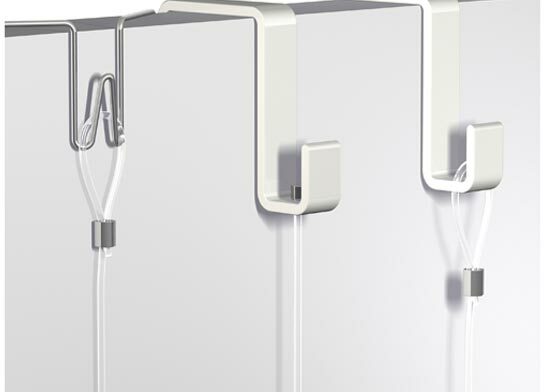 The Uniq Hanger offers a solution for these situations. Not only is it easy and safe to hang a picture frame on the wall and easily adjust the height, but it also creates a certain look. The combination of the stainless steel button with the steel wire might result in just the look you want to create in your interior. You also have the option of fully concealing the system behind your photo frame or painting. The Mouse Magnets have been developed for use with the Mosaic Gallery Picture Mouse (Solo) hanging wires. 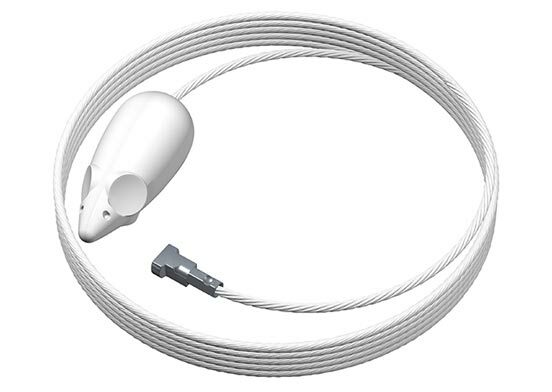 The Picture Mouse cord is a steel wire that has a steel mouse attached to it which serves as a stabilizing weight for the wire. 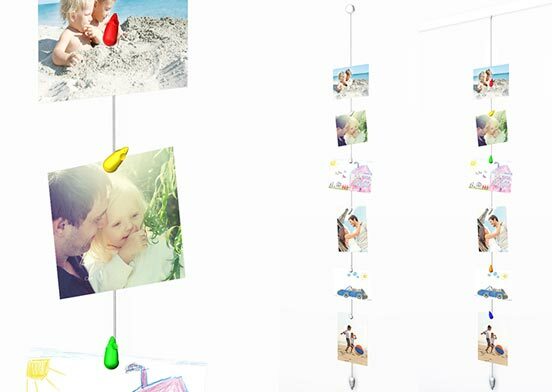 Using the Mouse magnets you can display your photos and cards on the hanging cord and create a fun and original hanging system on your wall. Of course you can use these fun Mouse Magnets on any other steel underground. 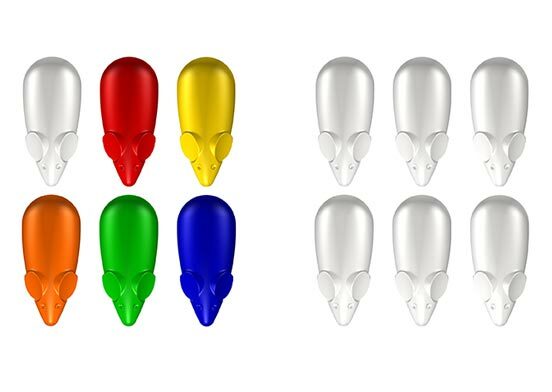 Mouse Magnets : colour and white The sets of Mouse Magnets are available in colour and white. 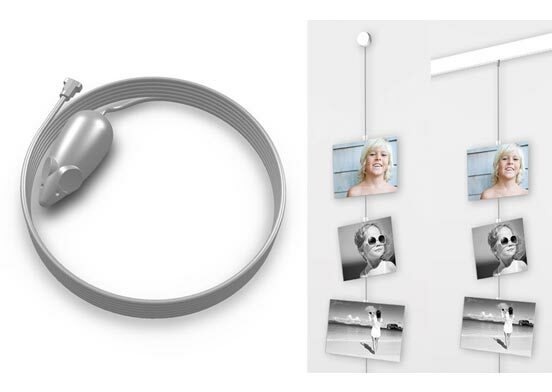 If you want to use the magnets in combination with our Picture Mouse hanging wires, you can choose between a steel or white Picture Mouse hanging cord. Here is a really original and colourful way to hang your photos in a kitchen, home office or anywhere in a home! hanging system for signage, and even industrial objects in an open space. 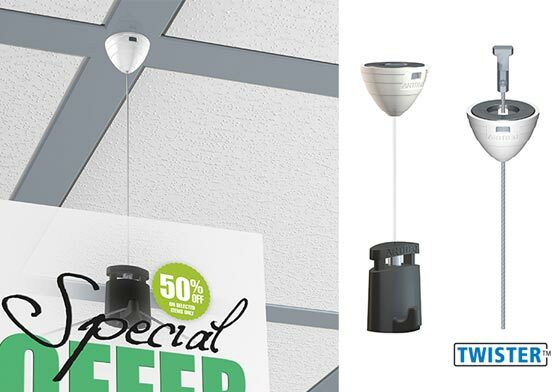 The magnetic ceiling hanger is a practical and easy-to-use hanging system for advertising signage or individual panels with a weight up to 1 kg. 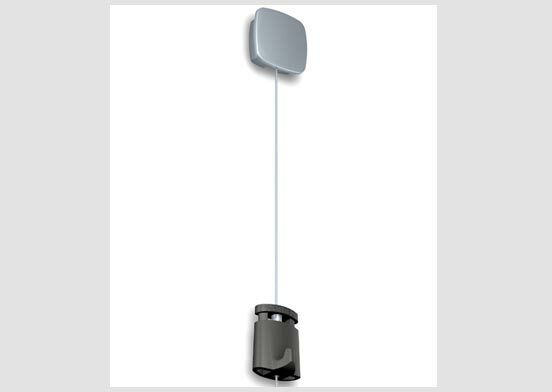 The magnetic ceiling hanger can easily be applied to a recessed ceiling for example. Ideal for workspaces with steel walls or cabinets If you want to hang wall decorations in spaces with steel walls, you need a magnetic hanging system. 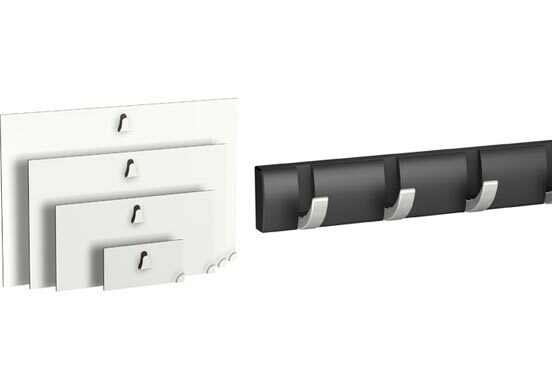 We offer magnetic solutions such as magnetic coat racks, magnetic picture hooks and magnetic click frames. The magnetic coat racks are strong and easy to instal without the need for drilling, even on a steel wall cabinet, for example. 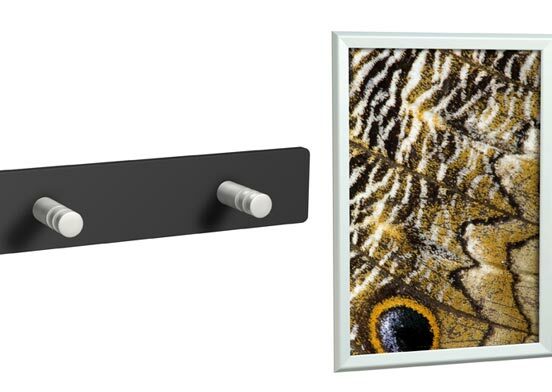 Hanging a picture or frame on a steel wall or cabinet is easy with the magnetic picture hooks. The picture hooks are available in the following sizes: 50 x 100 mm (max. 1 kg), 100 x 200 mm (max. 4 kg), 150 x 250 mm (max. 6 kg) and 200 x 300 mm (max. 21 kg). Magnetic click frames are perfect for frames with contents that are changed on a regular basis, or when a click frame is used as for signage. We also offer magnetic strip and magnetic mounting blocks (75 mm x 50 mm x 11 mm). Use several magnetic mounting blocks to easily hang a whiteboard on a steel wall in a workspace, for example. Since it is not always possible (or allowed) to hang rails in every room, we also offer solutions for hanging pictures and wall decorations in the form of partition wall hooks. We offer a range of various types of partition wall hooks for rooms with partitions, giving you a solid, practical way to hang pictures and decorations even on these types of walls. 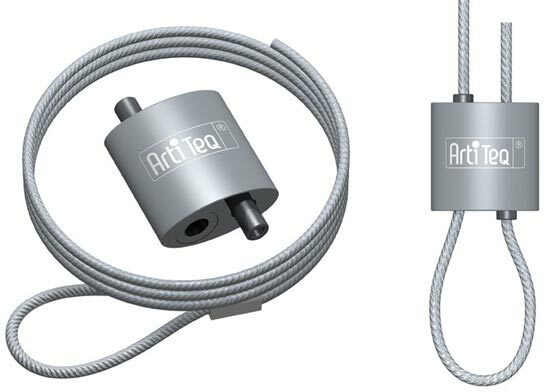 Partition wall hooks are hung over the top of a wall, and then used in combination with a perlon or other type of cord fitted with a picture hook. We offer a variety of solutions depending on the weight of the picture or decoration to be hung.